Why volunteer? Anthony L. does to give back to the men and women who served, in his own small way, and as a way of reaching out to that generation and let them know they are appreciated. Learn more about greeting our veterans here. # of Honor Flights Greeted: 4 years’ worth! 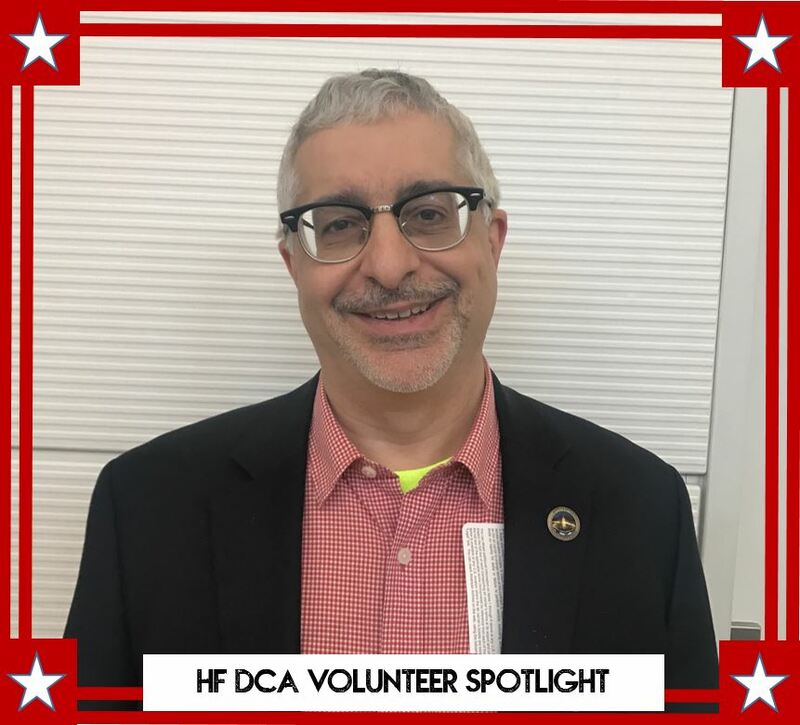 Reason for Volunteering: To give back to the men and women who served in my own small way and as a way of reaching out to that generation, however briefly, and let them know they are appreciated. 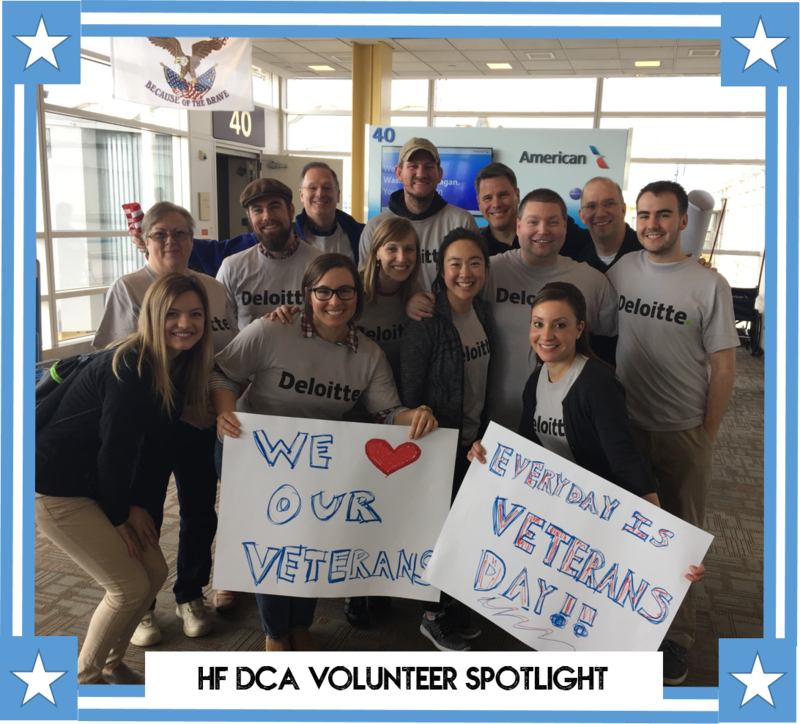 # of Honor Flights Greeted: Second year greeting with Deloitte as well as prior to that, so 20+ and counting. “The expressions on the veterans, and just as significantly, the tears and smiles of their family members in seeing the welcome was amazing. I overheard one Korean War veteran say to his guardian as he was wheeled past me: “This makes me feel like I’m somebody important”. That was enough to make the morning more than worthwhile.” – Sunil K. Pictured below with his son, Khalin. Sign Up Here! # of Honor Flights Greeted: This was our first experience, and we both found it quite moving. 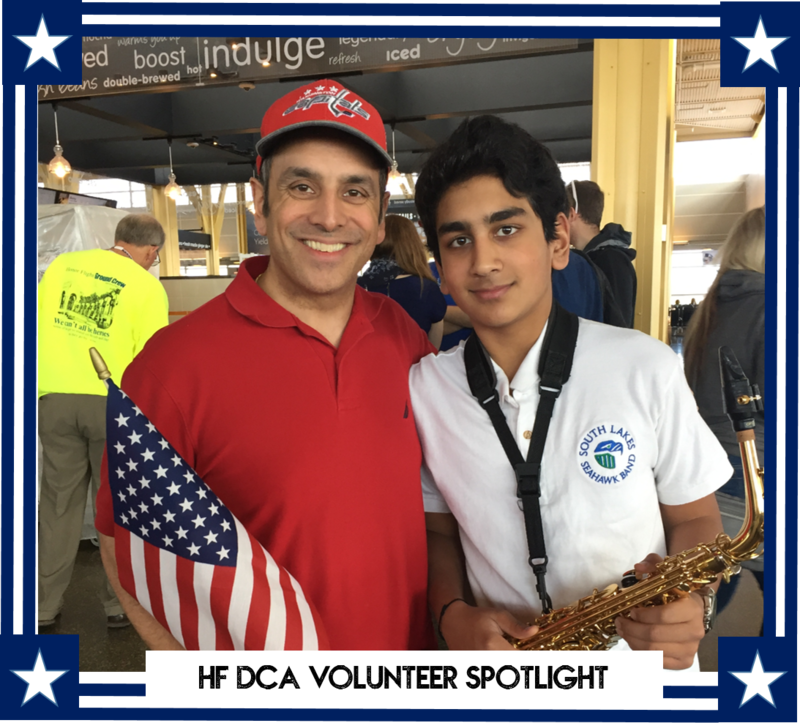 How you Heard About Honor Flight: Khalin is currently a freshman in South Lakes, and heard about the honor flight through the band. He was interested in volunteering, so we went. Reason for Volunteering: We have toured Pearl Harbor and walked the beaches of Normandy and been blown away by the power of those places and the emotions they stirred. This stirred emotions along a different vein, but very much as powerful. Thank you for the opportunity to participate.